This week, we dug into the San Francisco Chronicle’s archives and put together 100 years’ worth of photos of the San Francisco Police Department in uniform. As many of the earlier photos show, diversity wasn’t always present in the force. 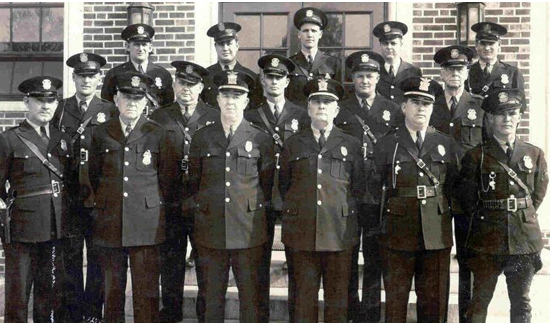 It wasn’t until the 1970s that laws and attitudes began to change the face of those who serve the city. In January 1979, the San Francisco Chronicle wrote about a Chinese American policewoman walking with Tom Mulkeen, a white policeman, on Clement Street, which was in their district’s beat. It was a big deal at the time. On the week of Jan. 27, 1979, an agreement was reached to settle a six-year old lawsuit that charged discrimination in hiring and promotion. At that time, it was awaiting final court approval. The policewoman in that article was Officer Heather Fong, who went on to become San Francisco’s Chief of Police in 2004. She refused to be interviewed for the 1979 piece. Her partner stated that “she just wants to do her job, not to be singled out all the time.” He also said that she did her job well, and he liked working with her. Just six years prior, women were not allowed to serve as beat cops at all. In 1977, Fong became the only Asian American woman in the police department.